Through extensive training, rigorous audits and continuous hard work Montagu Coachworks has been granted the Ford motor manufacturer approval to carry out expert vehicle repairs. The bodyshop is assessed regularly against stringent standards set individually by the manufacturer and our staff attend regular training courses to ensure their knowledge is up to date with the latest vehicle materials and technology. 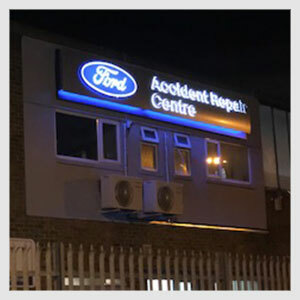 Our Ford trained technicians have the expert knowledge, specialist equipment and tools to carry out Ford approved repairs to ensure your vehicle is restored to pre-accident condition.